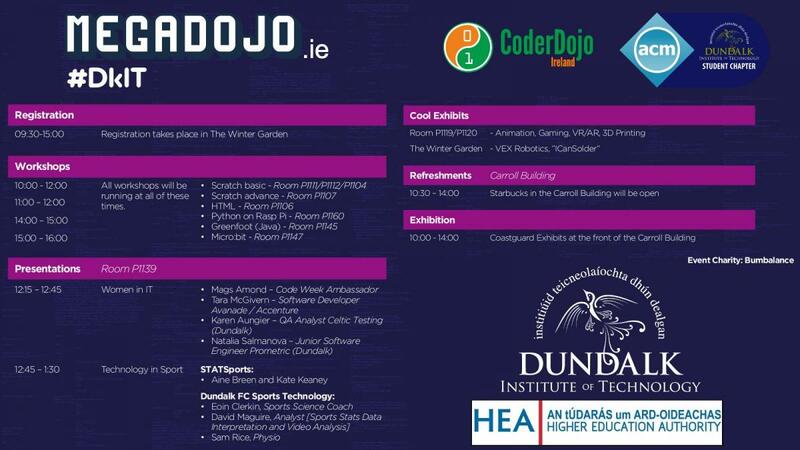 Dundalk Institute of Technology will tomorrow (Saturday 13th October) host “MegaDojo Dundalk”, the region’s first ever major coding event for school children between the ages of 7 to 17. The event will take place in the PJ Carroll Building with a variety of interactive coding workshops, demos and tech talks taking place throughout the day from 10am to 4pm. Young people and their families are invited to attend for some or all of the day and can still book their place by visiting http://megadojo.ie/dundalk/. 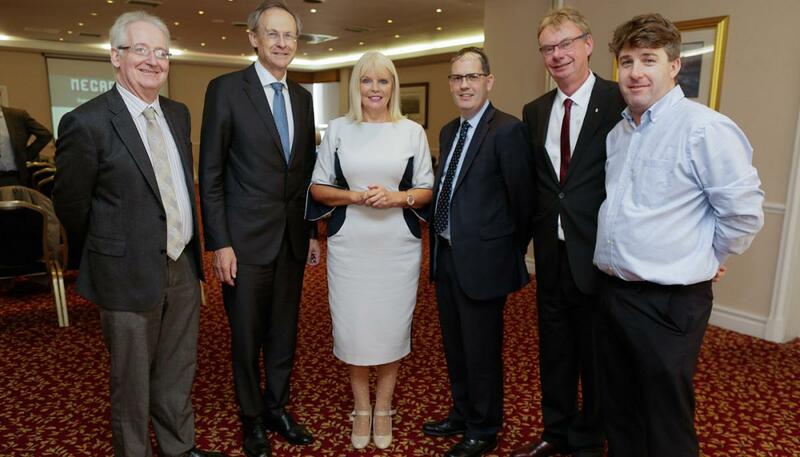 (R-L) Dr Gerard (Bob) McKiernan, Head of School of Informatics and Creative Arts; Dr Michael Mulvey, DkIT President; Minister of State for Higher Education, Mary Mitchell O’Connor TD; Dr Brendan Ryder, Head of Department of Visual and Human-Centred Computing; Mr Peter Gosling, DkIT Computing Lecturer & MegaDojo Co-ordinator. 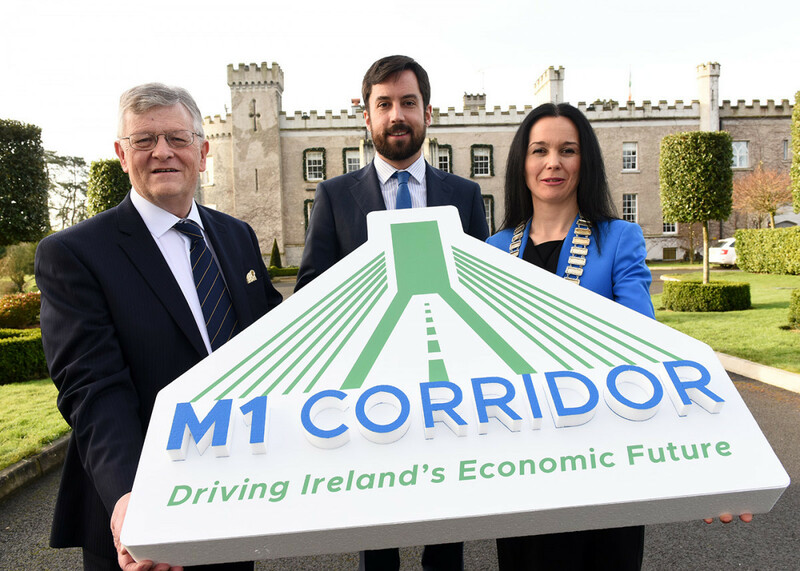 MegaDojo Dundalk is aiming to attract 512 young people from across the North Leinster-South Ulster region. This initiative is coordinated by the School of Informatics & Creative Arts at DkIT in conjunction with Coderdojo Ireland and is supported by the Higher Education Authority (HEA). Special guest at the event include the Irish Coastguard who will be on campus with their rescue boat to showcase how they use technology during rescue operations. 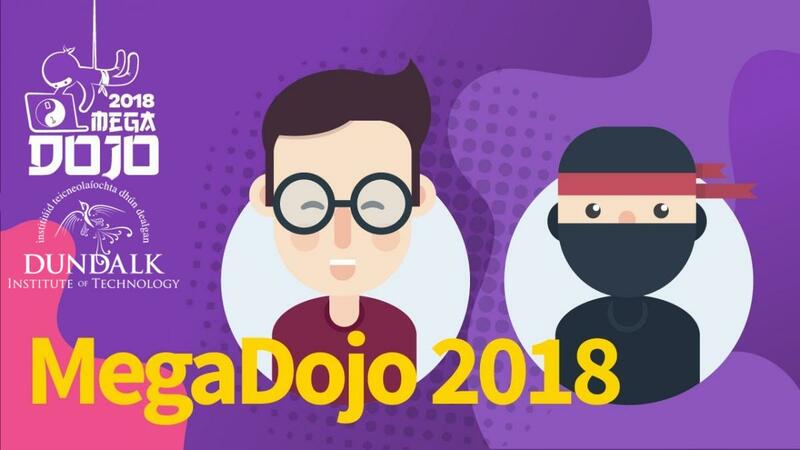 Megadojo is a national voluntary initiative which brings together approximately 5,000 young people at six Institutes of Technology across Ireland for a day of free workshops, demos and tech talks aimed at introducing young people to coding, technology and digital literacy skills. A fundraiser for Bumbleance, the Children’s National Ambulance Service, will also take place on the day. 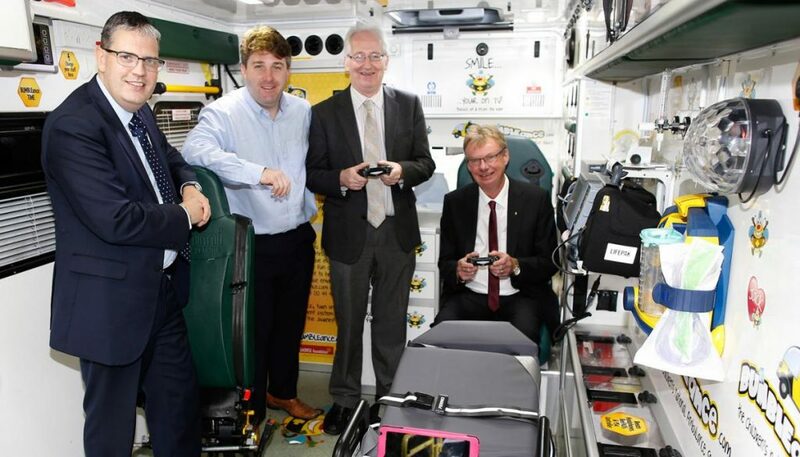 Staff from DkiT School of Informatics & Creative Arts inside Bumbleance Ambulance at national launch of Megadojo. Bumbleance are the o fficial event charity for 2018. 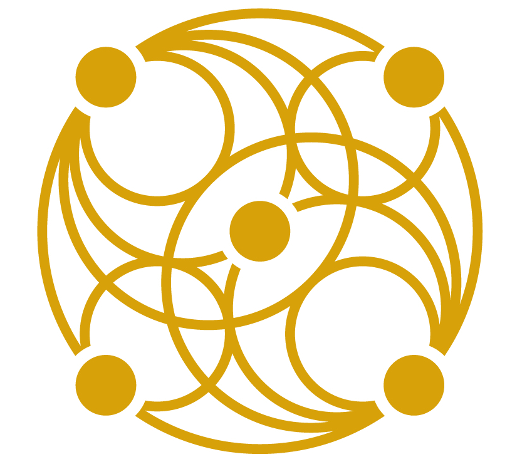 The initiative is part of CodeWeekEU and was launched by the Minister of State for Higher Education, Mary Mitchell O’Connor TD in Dublin on 14 September 2018. DkIT President, Dr Michael Mulvey attended the launch along with members of staff from the School of Informatics & Creative Arts. No prior coding experience is required to take part in the day. Children under the ages of 12 years old must be accompanied by an adult.